Sgroppino is a mixed drink from the Italian region of Veneto. The name has been derived from the word sgropìn, which in the local dialect means sorbet. A coworker introduced me to sgroppino in 2009, and I liked it at once. Sgroppini have a very fresh and light taste and are very nice to drink, especially in hot weather. Be careful as they may be too nice and you may not be aware how much alcohol they contain (about 15% by volume, depending on how strong you make them). Because they are so refreshing, sgroppini are great as a palate cleanser before dessert. If you don’t like heavy desserts, you could even serve just the sgroppini. 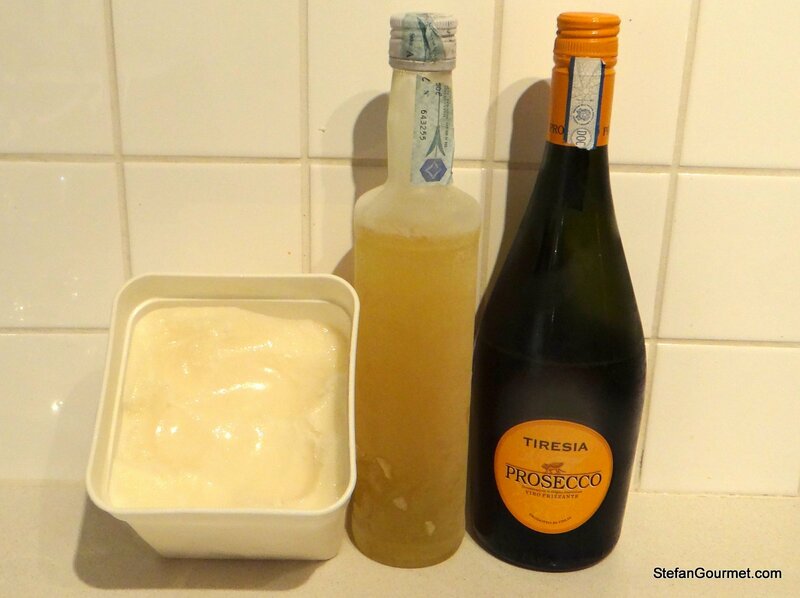 The original ingredients of sgroppino were lemon sorbet and grappa. In modern recipes prosecco (which comes from the region of Veneto as well) or another sparkling wines is added, and the grappa is often replaced by vodka (probably because it’s cheaper). 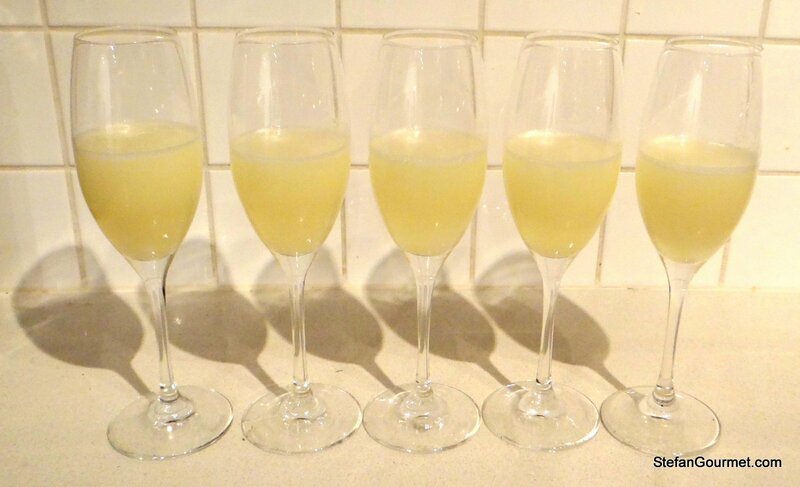 Richard McGary mentioned he likes to have limoncello with sparkling wine, which gave me to idea to use limoncello instead of vodka or grappa to make sgroppini. 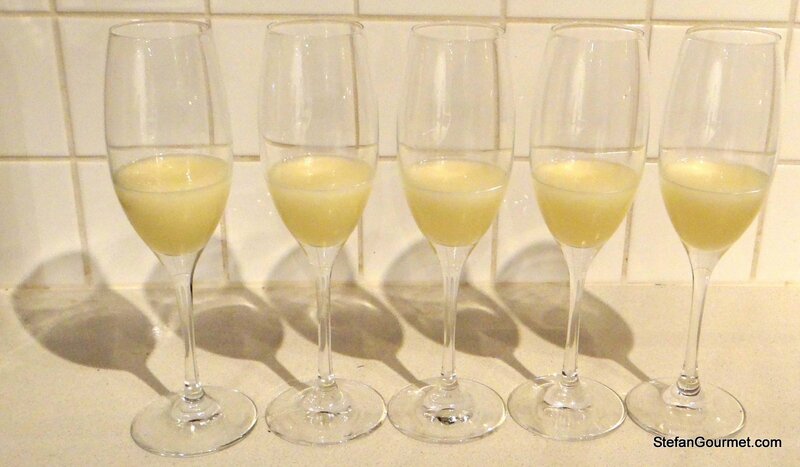 I like this even better than sgroppini made with vodka or grappa, as the limoncello deepens the lemon flavor. 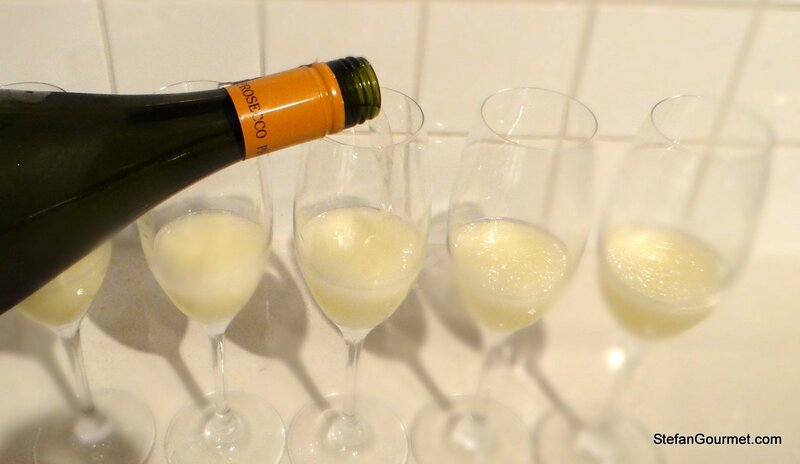 Sgroppini are very easy to make as you can simply buy ready-made lemon sorbet, vodka, and sparkling wine. 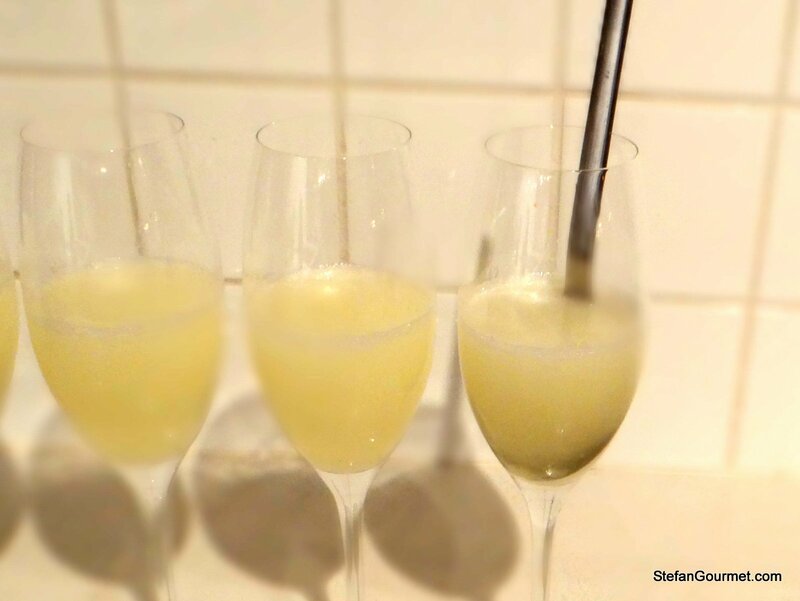 It is more interesting to make your own limoncello and to make your own lemon sorbet. 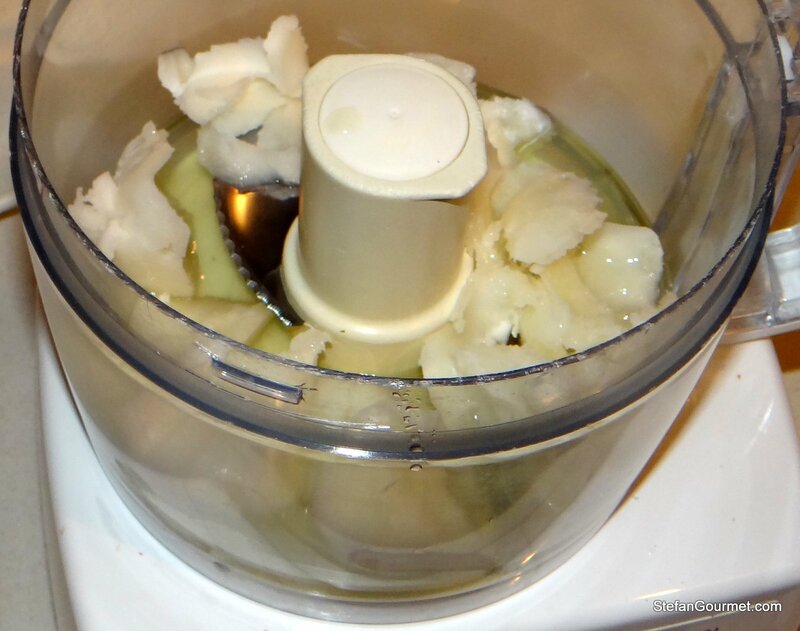 This means that you can use the zest of the lemons to make the limoncello and the juice of the lemons to make the lemon sorbet, which is exactly what I did. You’d have to take in mind though that making limoncello takes two months or so, so the lemon sorbet will sit in your freezer for that time. I use approximately equal parts of the ingredients, but I do not actually measure anything. Please feel free to mix to your liking. 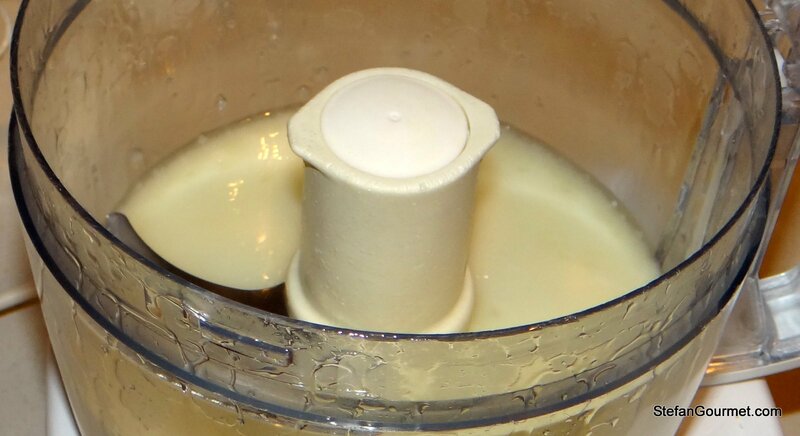 Combine the lemon sorbet and the limoncello in your blender or food processor. Stir each glass just enough to mix.